This is an itinerary that lets you discover the most popular city in Europe. The reasons for this to happen are many, the hospitality of its people, the beauty of the buildings in the historic center world heritage, the flavors of its cuisine, fashion shops of national and international creators and their culture. 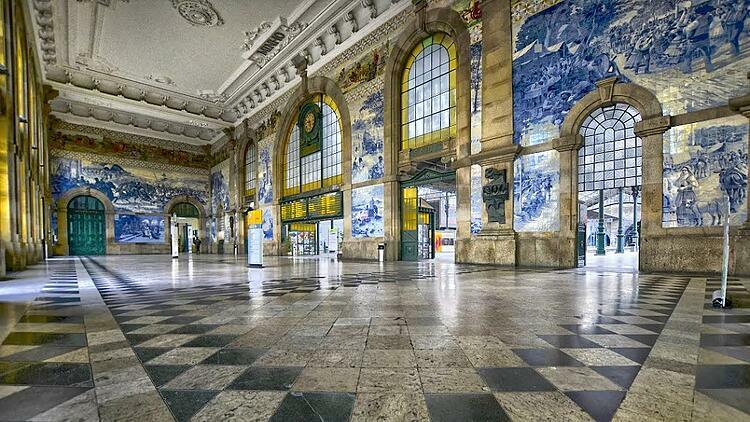 About the city of Porto, the New York Times says: "From the impressive architecture of the São Bento [St. Benedict] train station to bars that are fashionable and serve the signature wine Porto, this charming city combines the best of old and more modern". The confirmation Voucher includes complete information about the tour operator including contacts and directions. Check-in at a downtown hotel. Your afternoon will be in Oporto where you will discover the historical city center, declared a World Heritage by UNESCO: You will find the Clerics Tower, designed and decorated by the Italian architect Nicolau Nasoni, located near the Lello Bookshop, considered by Lonely Travel one of the three most beautiful bookstores in the world, you will pass by the Portuguese Life Shop where you can buy a genuine memory of Portugal, will meet the São Bento train station, where you can watch its twenty thousand painted tiles with depicting landmarks. After observing one of the most beautiful views over the River Douro in Oporto Cathedral and Monastery of Serra do Pilar, visit the street of Santa Catarina where you can do your shopping. We suggest the "Rabanada” (French toast) in the beautiful Café Majestic. Dinner will be served in one of the city's best restaurants, the Book Restaurant. 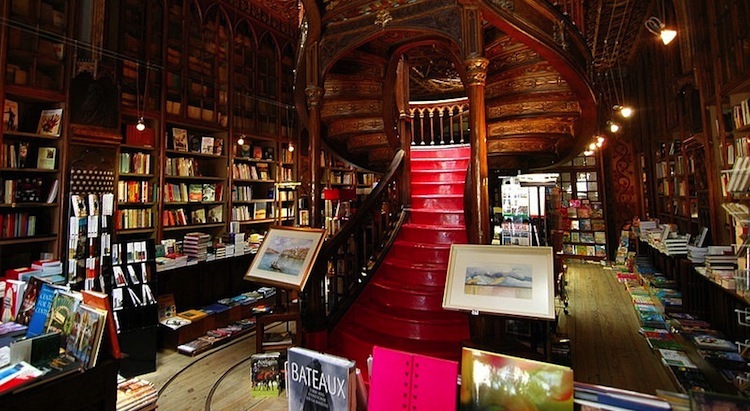 This is a space that was previously occupied by a bookstore and you will get a chance to taste traditional dishes and find some copies of literary works. Breakfast at the hotel. 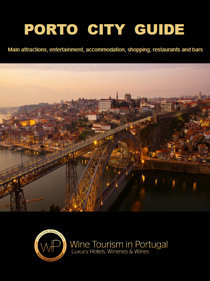 On the second day of the Tour, after the free lunch, you will have the opportunity to meet the riverside area of Porto. This is considered by many one of the most beautiful places in the world, not only for the scenery but also the architectural traces and cultural nature as distinct from all other geographies. You will discover the Palácio da Bolsa, the building with the greatest diversity of architectural styles of the city. Inserted in the Palácio da Bolsa, is the Wine Tasting Room in Portugal, where we invite you to discover the main differences of the wines of Portugal with the help of the winemaker. Free lunch. During the afternoon, you will visit two of the most recognized and awarded Port Wine Cellars, Ferreira Cellars and Sandeman Cellars. 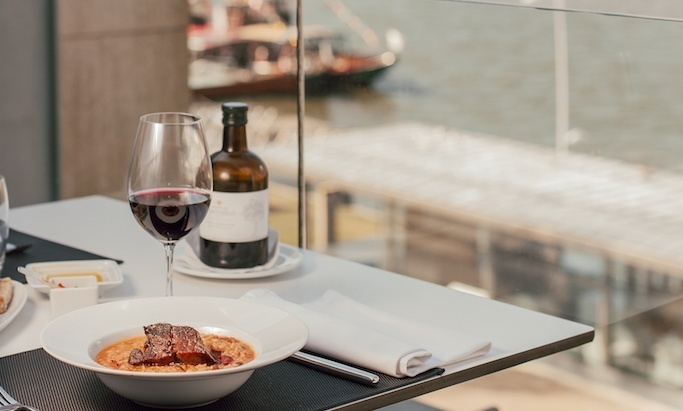 By late afternoon, overlooking the Ribeira do Porto will have the opportunity to enjoy a dinner at DeCastro Gaia under the guidance of respected Chef. Breakfast at the hotel. We invite you to visit the elitist Foz do Douro using the road parallel to the river, we recommend passing through the Warehouse, an old warehouse of Real Companhia Velha where art, commerce, music and food go together. The promenade Foz do Douro with outdoor cafes, bars and gardens by the sea make this area one of the most enchanted places in the city, there are several points of interest such as the São João Batista Fort seventeenth century chapel lighthouse, S. Miguel-o-Anjo which is one of the oldest Renaissance monuments in Europe and the Main Church. Free lunch. 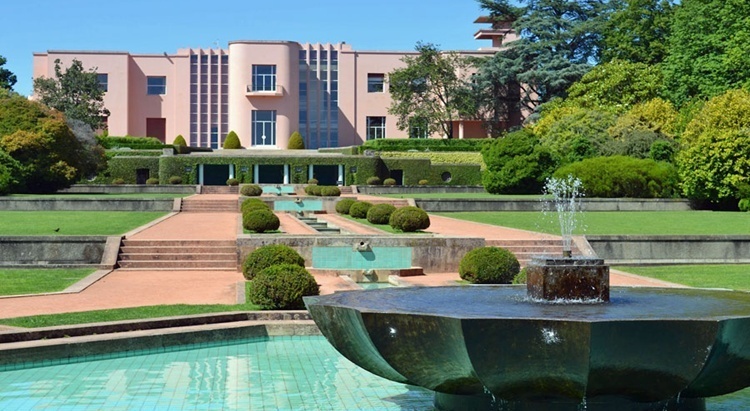 During the afternoon discover the architecture of this city, we invite you to see the transparent building, the Serralves Foundation, the Casa da Música (Music House), the House of Arts and the Bom Sucesso Market. End your trip.